Najeeba Faiz With Darren Sammy at Cricket images is easily accessible here online. Interesting images captivates the observer keenly. Find and share all latest pictures, photos with your friends and family on social media platforms. 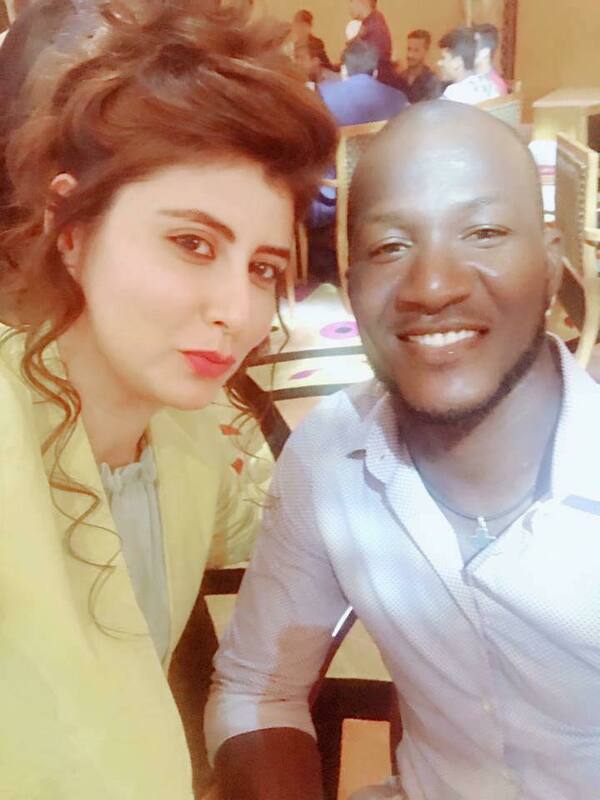 Najeeba Faiz With Darren Sammy at Cricket images has (3995 Views) (three thousand nine hundred and ninety-five) till 02 Mar 2017. Posted By: Guest On 02 Mar 2017 2015. Najeeba Faiz with Sammy in wonderful mode at dinner ceremony just after qualifying for 3rd playoff. She is a great actress of Pakistani dramas.